From a total of 75 submissions in the Technology & Products, Services and Fire Prevention categories as well as in the new award category called “Cyber Security / Economic Security”, the jury selected the finalists they are now being invited to present their innovations. In the end, marks of distinction can be won in gold, silver and bronze. 360 Vision Technology Ltd, Amaryllo International B.V., FSB Franz Schneider Brakel GmbH & Co. KG, GroupKom GmbH, Gunnebo Deutschland GmbH, innogy SE, InnoSenT GmbH, ip.access, Jansen Tore GmbH & Co. KG, KÖTTER Security, Senstar GmbH, Süd-Metall Beschläge GmbH and UrbanAlps AG Switzerland. In the sixth edition of the Security Innovation Award, all the submissions were evaluated by top experts in a jury with new members. Not only Klaus Büggenolte, Vice-President of the Chamber of Architects of North Rhine-Westphalia, but also Michael Ridder, Security Manager (Germany) at Uniper Global Commodities SE, are new members this year. For the new award category called “Cyber Security / Economic Security” (the main focal point at this year’s Security Essen), it was possible to win over Professor Dr. Hartmut Pohl, Speaker of the Presidential Working Committee “Privacy and Security” of the German Informatics Society (GI) and Acting Partner of softScheck GmbH. The jury consists of twelve experts in total under the leadership of Jens Washausen, Member of the Board of the Federal Association of Independent German Security Consultants and Engineers (BdSI) and Chief Executive Officer of GEOS Germany GmbH, as well as students on the Risk and Security Management course of studies at the University for Public Administration in Bremen. They have evaluated all 75 submissions according to the following criteria: innovation contents, user benefits, economic viability, reliability and reasonableness. “The 13 finalists have convinced us with their products. We are eagerly looking forward to the detailed presentations,” according to Julia Jacob, Head of Project for Security Essen. In this circle which is taking place in August, the objective is to arouse the enthusiasm of the jury in a personal introduction to the products and the solutions. After this date, the finalists must be patient for nearly two more months. 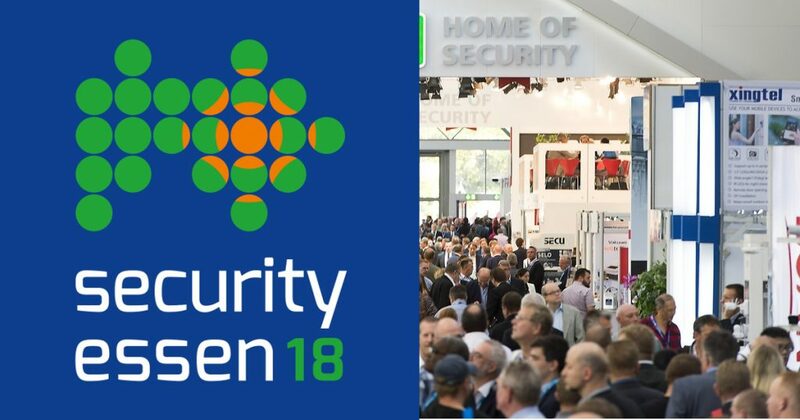 At the official presentation of the Security Innovation Award 2018 at Security Essen on September 25, 2018, they will learn whether they will receive one of the coveted sectoral awards. Tagged Security Essen. Bookmark the permalink.